NISSAN CERTIFIED!! LEATHER HEATED SEATS, HEATED STEERING WHEEL, BLUETOOTH, BACK UP CAMERA PLUS SO MUCH MORE! THIS ALTIMA HAS A CLEAN VEHICLE HISTORY REPORT. FULLY RECONDITIONED BY THE FACTORY TRAINED TECHNICIANS AT BALISE NISSAN. AS ALWAYS, PRICED TO TAKE THE STRESS OUT OF HAGGLING. YOU'LL DO BETTER AT BALISE! THIS CERTIFIED PRICE REFLECTS $700 NMAC REBATE. CERTIFIED BENEFITS: 24 Hour Emergency Roadside Assistance, Towing Assistance, Trip Interruption Benefits, 3-month free subscription to Sirius XM Satellite Radio on properly equipped vehicles, Complimentary CARFAX Vehicle History Report and 3-Year CARFAX Buy Back Guarantee Limited Warranty 7-year/100,000-mile powertrain warranty Financing is available, and all trade-ins and all current leased vehicles are welcome. At Balise Nissan, we've made great pricing available to everyone, so shop with confidence, don't overpay and get a great deal at Balise Nissan. Full tank of gas included. Call us at 413-746-2266 to check availability and schedule a test drive. ONLY 17K MILES!! NAVIGATION, HEATED CLOTH SEATS, BLUETOOTH, BACKUP CAMERA AND MUCH MORE! THIS PRO X IS ONE PREVIOUS OWNER WITH A CLEAN VEHICLE HISTORY REPORT. FULLY RECONDITIONED BY THE FACTORY TRAINED TECHNICIANS AT BALISE NISSAN. AS ALWAYS, PRICED TO TAKE THE STRESS OUT OF HAGGLING. YOU'LL DO BETTER AT BALISE! Financing is available, and all trade-ins and all current leased vehicles are welcome. At Balise Nissan, we've made great pricing available to everyone, so shop with confidence, don't overpay and get a great deal at Balise Nissan. Full tank of gas included. Call us at 413-746-2266 to check availability and schedule a test drive. NISSAN CERTIFIED!! BLUETOOTH AND BACK UP CAMERA! THIS CLEAN 1 OWNER ROGUE IS FULLY RECONDITIONED BY THE FACTORY TRAINED TECHNICIANS AT BALISE NISSAN. AS ALWAYS, PRICED TO TAKE THE STRESS OUT OF HAGGLING. YOU'LL DO BETTER AT BALISE! THIS CERTIFIED PRICE REFLECTS $450 NMAC REBATE. CERTIFIED BENEFITS: 24 Hour Emergency Roadside Assistance, Towing Assistance, Trip Interruption Benefits, 3-month free subscription to Sirius XM Satellite Radio on properly equipped vehicles, Complimentary CARFAX Vehicle History Report and 3-Year CARFAX Buy Back Guarantee Limited Warranty 7-year/100,000-mile powertrain warranty Financing is available, and all trade-ins and all current leased vehicles are welcome. At Balise Nissan, we've made great pricing available to everyone, so shop with confidence, don't overpay and get a great deal at Balise Nissan. Full tank of gas included. Call us at 413-746-2266 to check availability and schedule a test drive. NISSAN CERTIFIED!! NAVIGATION, BLUETOOTH, CLOTH HEATED SEATS, BACKUP CAMERA AND PANORAMIC SUNROOF!! THIS 1 OWNER ROGUE HAS A CLEAN VEHICLE HISTORY AND IS FULLY RECONDITIONED BY THE FACTORY TRAINED TECHNICIANS AT BALISE NISSAN. AS ALWAYS, PRICED TO TAKE THE STRESS OUT OF HAGGLING. YOU'LL DO BETTER AT BALISE! THIS CERTIFIED PRICE REFLECTS $450 NMAC REBATE. CERTIFIED BENEFITS: 24 Hour Emergency Roadside Assistance, Towing Assistance, Trip Interruption Benefits, 3-month free subscription to Sirius XM Satellite Radio on properly equipped vehicles, Complimentary CARFAX Vehicle History Report and 3-Year CARFAX Buy Back Guarantee Limited Warranty 7-year/100,000-mile powertrain warranty Financing is available, and all trade-ins and all current leased vehicles are welcome. At Balise Nissan, we've made great pricing available to everyone, so shop with confidence, don't overpay and get a great deal at Balise Nissan. Full tank of gas included. Call us at 413-746-2266 to check availability and schedule a test drive. NISSAN CERTIFIED!! LEATHER HEATED SEATS, NAVIGATION, BACKUP CAMERA, BLUETOOTH AND PANORAMIC SUNROOF!! THIS CLEAN 1 OWNER ROGUE IS FULLY RECONDITIONED BY THE FACTORY TRAINED TECHNICIANS AT BALISE. AS ALWAYS, PRICED TO TAKE THE STRESS OUT OF HAGGLING. YOU'LL DO BETTER AT BALISE! CERTIFIED BENEFITS: 24 Hour Emergency Roadside Assistance, Towing Assistance, Trip Interruption Benefits, 3-month free subscription to Sirius XM Satellite Radio on properly equipped vehicles, Complimentary CARFAX Vehicle History Report and 3-Year CARFAX Buy Back Guarantee Limited Warranty 7-year/100,000-mile powertrain warranty Financing is available, and all trade-ins and all current leased vehicles are welcome. At Balise Nissan, we've made great pricing available to everyone, so shop with confidence, don't overpay and get a great deal at Balise Nissan. Full tank of gas included. Call us at 413-746-2266 to check availability and schedule a test drive. NISSAN CERTIFIED!! BLUETOOTH AND BACKUP CAMERA PLUS SO MUCH MORE! THIS CLEAN 1 OWNER ROGUE SPORT IS FULLY RECONDITIONED BY THE FACTORY TRAINED TECHNICIANS AT BALISE NISSAN. AS ALWAYS, PRICED TO TAKE THE STRESS OUT OF HAGGLING. YOU'LL DO BETTER AT BALISE! THIS CERTIFIED PRICE REFLECTS $450 NMAC REBATE. CERTIFIED BENEFITS: 24 Hour Emergency Roadside Assistance, Towing Assistance, Trip Interruption Benefits, 3-month free subscription to Sirius XM Satellite Radio on properly equipped vehicles, Complimentary CARFAX Vehicle History Report and 3-Year CARFAX Buy Back Guarantee Limited Warranty 7-year/100,000-mile powertrain warranty Financing is available, and all trade-ins and all current leased vehicles are welcome. At Balise Nissan, we've made great pricing available to everyone, so shop with confidence, don't overpay and get a great deal at Balise Nissan. Full tank of gas included. Call us at 413-746-2266 to check availability and schedule a test drive. NISSAN CERTIFIED!! THIS SENTRA IS FULLY RECONDITIONED BY THE FACTORY TRAINED TECHNICIANS AT BALISE NISSAN. AS ALWAYS, PRICED TO TAKE THE STRESS OUT OF HAGGLING. YOU'LL DO BETTER AT BALISE! THIS CERTIFIED PRICE REFLECTS $450 NMAC REBATE. CERTIFIED BENEFITS: 24 Hour Emergency Roadside Assistance, Towing Assistance, Trip Interruption Benefits, 3-month free subscription to Sirius XM Satellite Radio on properly equipped vehicles, Complimentary CARFAX Vehicle History Report and 3-Year CARFAX Buy Back Guarantee Limited Warranty 7-year/100,000-mile powertrain warranty Financing is available, and all trade-ins and all current leased vehicles are welcome. At Balise Nissan, we've made great pricing available to everyone, so shop with confidence, don't overpay and get a great deal at Balise Nissan. Full tank of gas included. Call us at 413-746-2266 to check availability and schedule a test drive. NISSAN CERTIFIED!! ONLY 8K MILES!! THIS SENTRA IS FULLY RECONDITIONED BY THE FACTORY TRAINED TECHNICIANS AT BALISE NISSAN. AS ALWAYS, PRICED TO TAKE THE STRESS OUT OF HAGGLING. YOU'LL DO BETTER AT BALISE! THIS CERTIFIED PRICE REFLECTS $450 NMAC REBATE. CERTIFIED BENEFITS: 24 Hour Emergency Roadside Assistance, Towing Assistance, Trip Interruption Benefits, 3-month free subscription to Sirius XM Satellite Radio on properly equipped vehicles, Complimentary CARFAX Vehicle History Report and 3-Year CARFAX Buy Back Guarantee Limited Warranty 7-year/100,000-mile powertrain warranty Financing is available, and all trade-ins and all current leased vehicles are welcome. At Balise Nissan, we've made great pricing available to everyone, so shop with confidence, don't overpay and get a great deal at Balise Nissan. Full tank of gas included. Call us at 413-746-2266 to check availability and schedule a test drive. NISSAN CERTIFIED!! BLUETOOTH, BACKUP CAMERA AND MUCH MORE! THIS SENTRA IS FULLY RECONDITIONED BY THE FACTORY TRAINED TECHNICIANS AT BALISE NISSAN. AS ALWAYS, PRICED TO TAKE THE STRESS OUT OF HAGGLING. YOU'LL DO BETTER AT BALISE! THIS CERTIFIED PRICE REFLECTS $450 NMAC REBATE. CERTIFIED BENEFITS: 24 Hour Emergency Roadside Assistance, Towing Assistance, Trip Interruption Benefits, 3-month free subscription to Sirius XM Satellite Radio on properly equipped vehicles, Complimentary CARFAX Vehicle History Report and 3-Year CARFAX Buy Back Guarantee Limited Warranty 7-year/100,000-mile powertrain warranty Financing is available, and all trade-ins and all current leased vehicles are welcome. At Balise Nissan, we've made great pricing available to everyone, so shop with confidence, don't overpay and get a great deal at Balise Nissan. Full tank of gas included. Call us at 413-746-2266 to check availability and schedule a test drive. ONLY 7K MILES!! BLUETOOTH, BACKUP CAMERA!! THIS RAM 1500 IS A ONE OWNER VEHICLE WITH A CLEAN VEHICLE HISTORY REPORT. FULLY RECONDITIONED BY THE EXPERT TECHNICIANS AT BALISE NISSAN. AS ALWAYS, PRICED TO TAKE THE STRESS OUT OF HAGGLING. YOU'LL DO BETTER AT BALISE! Financing is available, and all trade-ins and all current leased vehicles are welcome. At Balise Nissan, we've made great pricing available to everyone, so shop with confidence, don't overpay and get a great deal at Balise Nissan. Full tank of gas included. Call us at 413-746-2266 to check availability and schedule a test drive. ONLY 6K MILES!! COMES WITH BACKUP CAMERA, BLUETOOTH PLUS SO MUCH MORE! THIS ACCORD IS ONLY ONE PREVIOUS OWNER. FULLY RECONDITIONED BY THE FACTORY TRAINED TECHNICIANS AT BALISE NISSAN. AS ALWAYS, PRICED TO TAKE THE STRESS OUT OF HAGGLING. YOU'LL DO BETTER AT BALISE! Financing is available, and all trade-ins and all current leased vehicles are welcome. At Balise Nissan, we've made great pricing available to everyone, so shop with confidence, don't overpay and get a great deal at Balise Nissan. Full tank of gas included. Call us at 413-746-2266 to check availability and schedule a test drive. ONLY 7K MILES!! COMES WITH LEATHER HEATED SEATS, BACKUP CAMERA, BLUETOOTH AND SUNROOF PLUS SO MUCH MORE! THIS ACCORD IS ONLY ONE PREVIOUS OWNER. FULLY RECONDITIONED BY THE FACTORY TRAINED TECHNICIANS AT BALISE NISSAN. AS ALWAYS, PRICED TO TAKE THE STRESS OUT OF HAGGLING. YOU'LL DO BETTER AT BALISE! Financing is available, and all trade-ins and all current leased vehicles are welcome. At Balise Nissan, we've made great pricing available to everyone, so shop with confidence, don't overpay and get a great deal at Balise Nissan. Full tank of gas included. Call us at 413-746-2266 to check availability and schedule a test drive. INCLUDES AWD, LEATHER HEATED SEATS, NAVIGATION, BACKUP CAMERA, BLUETOOTH AND SUNROOF!! THIS C300 HAS A CLEAN VEHICLE HISTORY REPORT. FULLY RECONDITIONED BY THE EXPERT TECHNICIANS AT BALISE NISSAN. Financing is available, and all trade-ins and all current leased vehicles are welcome. At Balise Nissan, we've made great pricing available to everyone, so shop with confidence, don't overpay and get a great deal at Balise Nissan. Full tank of gas included. Call us at 413-746-2266 to check availability and schedule a test drive. LEATHER HEATED SEATS, BLUETOOTH, BACKUP CAMERA!! THIS CAMRY IS A ONE OWNER VEHICLE WITH A CLEAN VEHICLE HISTORY REPORT. FULLY RECONDITIONED BY THE EXPERT TECHNICIANS AT BALISE NISSAN. AS ALWAYS, PRICED TO TAKE THE STRESS OUT OF HAGGLING. YOU'LL DO BETTER AT BALISE! Financing is available, and all trade-ins and all current leased vehicles are welcome. At Balise Nissan, we've made great pricing available to everyone, so shop with confidence, don't overpay and get a great deal at Balise Nissan. Full tank of gas included. Call us at 413-746-2266 to check availability and schedule a test drive. BLUETOOTH, BACKUP CAMERA!! THIS EDGE IS A ONE OWNER VEHICLE WITH A CLEAN VEHICLE HISTORY REPORT. FULLY RECONDITIONED BY THE EXPERT TECHNICIANS AT BALISE NISSAN. AS ALWAYS, PRICED TO TAKE THE STRESS OUT OF HAGGLING. YOU'LL DO BETTER AT BALISE! Financing is available, and all trade-ins and all current leased vehicles are welcome. At Balise Nissan, we've made great pricing available to everyone, so shop with confidence, don't overpay and get a great deal at Balise Nissan. Full tank of gas included. Call us at 413-746-2266 to check availability and schedule a test drive. THIS ELANTRA HAS A CLEAN VEHICLE HISTORY REPORT. 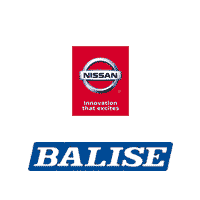 FULLY RECONDITIONED BY THE EXPERT TECHNICIANS AT BALISE NISSAN. AS ALWAYS, PRICED TO TAKE THE STRESS OUT OF HAGGLING. YOU'LL DO BETTER AT BALISE! Financing is available, and all trade-ins and all current leased vehicles are welcome. At Balise Nissan, we've made great pricing available to everyone, so shop with confidence, don't overpay and get a great deal at Balise Nissan. Full tank of gas included. Call us at 413-746-2266 to check availability and schedule a test drive. LEATHER HEATED SEATS, HEATED STEERING WHEEL, BLUETOOTH, BACKUP CAMERA!! THIS ENCORE IS A ONE OWNER VEHICLE WITH A CLEAN VEHICLE HISTORY REPORT. FULLY RECONDITIONED BY THE EXPERT TECHNICIANS AT BALISE NISSAN. AS ALWAYS, PRICED TO TAKE THE STRESS OUT OF HAGGLING. YOU'LL DO BETTER AT BALISE! Financing is available, and all trade-ins and all current leased vehicles are welcome. At Balise Nissan, we've made great pricing available to everyone, so shop with confidence, don't overpay and get a great deal at Balise Nissan. Full tank of gas included. Call us at 413-746-2266 to check availability and schedule a test drive. THIS SONATA HAS NAVIGATION, HEATED CLOTH SEATS, BACKUP CAMERA, BLUETOOTH AND SUNROOF PLUS SO MUCH MORE!! THIS VEHICLE HAS ONE PREVIOUS OWNER AND IS FULLY RECONDITIONED BY THE EXPERT TECHNICIANS AT BALISE NISSAN. Financing is available, and all trade-ins and all current leased vehicles are welcome. At Balise Nissan, we've made great pricing available to everyone, so shop with confidence, don't overpay and get a great deal at Balise Nissan. Full tank of gas included. Call us at 413-746-2266 to check availability and schedule a test drive. LEATHER HEATED SEATS, BACKUP CAMERA AND BLUETOOTH!! THIS ONE PREVIOUS OWNER SORENTO HAS A CLEAN VEHICLE HISTORY REPORT. FULLY RECONDITIONED BY THE EXPERT TECHNICIANS AT BALISE NISSAN. Financing is available, and all trade-ins and all current leased vehicles are welcome. At Balise Nissan, we've made great pricing available to everyone, so shop with confidence, don't overpay and get a great deal at Balise Nissan. Full tank of gas included. Call us at 413-746-2266 check availability and schedule a test drive. THIS SUBARU CROSSTREX HAS EYE SIGHT, LEATHER HEATED SEATS, NAVIGATION, BACKUP CAMERA, BLUETOOTH AND SUNROFF PLUS SO MUCH MORE. ONE PREVIOUS OWNER WITH A CLEAN VEHICLE HISTORY REOPORT. FULLY RECONDITIONED BY THE EXPERT TECHNICIANS AT BALISE NISSAN. Financing is available, and all trade-ins and all current leased vehicles are welcome. At Balise Nissan, we've made great pricing available to everyone, so shop with confidence, don't overpay and get a great deal at Balise Nissan. Full tank of gas included. Call us at 413-746-2266 to check availability and schedule a test drive.